Azorius: Blue and while combine with the Senate of the law. The Azorius special new mechanic is Addendum. 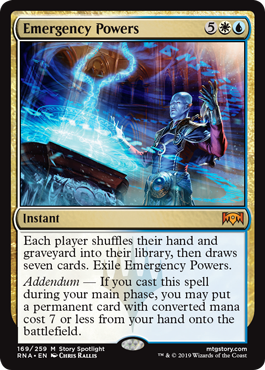 These are Instants that have a special bonus surprise in the box if you cast them during the time you could cast a sorcery. The Gruul (Red & Green) ‘s new mechanic reflects their aggressive ways. 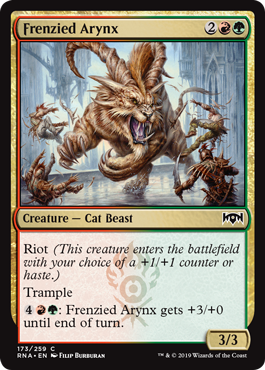 Riot gives you the choice to either bring in a creature in with haste so they can attack right away, or a +1 counter. 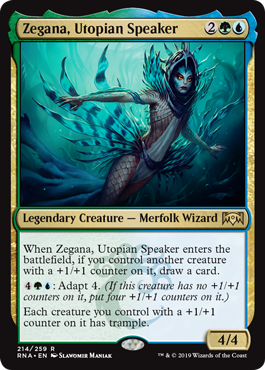 Simic (Blue & Green), the clan of growth has traditionally been all about tossing on the counters, and the new Adapt mechanic is all about adding on counters and once in a while throwing in an extra power or two for all creatures with counters on them. 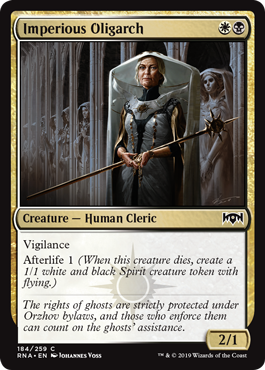 The Orzov Syndicate (Black & White) brings in Afterlife, a mechanic that brings one (or more) 1/1 flying spirits when the creature dies. 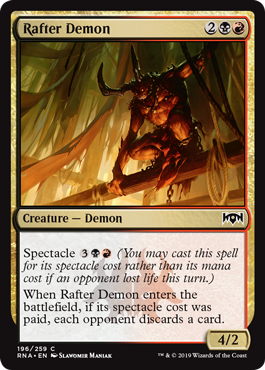 Finally, we have the Mad Clowns of Rakdos (Red & Black). Their distributingly named Spectacle. When these spells are cast in a turn after an opponent has taken damage they get extra abilities.